Today’s businesses are lucky. You have lots of channels to promote your brand and services. The traditional ways of advertising in the television, radio, and print are still present, but it’s not the priority anymore. Modern businesses focus on a bigger and wider platform: the internet. One needs to exert his/her utmost effort to do marketing in here. 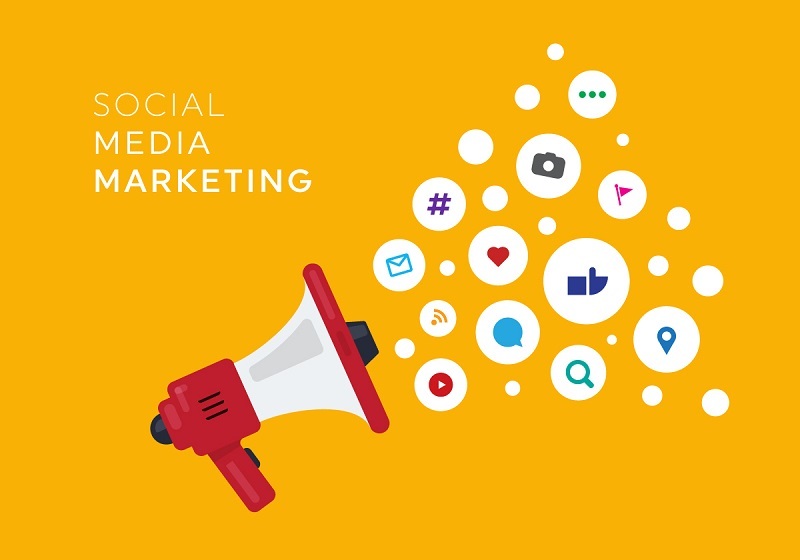 Aside from website development, content marketing, and search engine optimization, businesses also dive in social media marketing. Social media marketing means putting content on your social media sites in order to gain traffic, attention, influence, and authority. It is a wide topic and we will focus on the most important and unmissable elements of it in this article. When you create a page or account in a social media platform, you enable people to communicate with you easily. They can send you a message, comment on your posts and photos, as well as feedback on your services or products. People can do it anytime. The question is… do you reach out to them? If not, you are missing a lot of actions and you are definitely falling behind. In a previous blog post, we mentioned that social media sites are mainstream search engines. A lot of people search for services or items and click on the relevant content they find on the search results. Think of social media marketing as a force multiplier. Your website may not be on the first page of Google results now, but it will be. Create and share content which can help you hit your goals in marketing, branding, or sales. Eventually, the traffic from of your social media updates and content will boost, even your SEO. So, improve your social media presence. Take advantage of the trends, keywords, or paid social media advertising that is offered to you. Managing social media accounts is a huge project and responsibility. Similar to regular marketing, you need a social strategy. (This time it is called digital social strategy). Not having one means you’re lost in the internet-sphere and your competitors are ahead of you. Worse if you are paying for inefficient marketing. Do you want to increase or improve conversion rates, website traffic, or brand awareness? Where and when would your target audience hang out and how would they use social media? It is a question of what social media platform will you prioritise. Is your content better expressed via Facebook, Twitter, Instagram, Pinterest, or LinkedIn? Is your target audience logged on those social media websites? What message do you want to send to your audience? Is it something informative or persuasive? Are you sharing news, opinions, or features? Is it positive or negative? Answers differ based on the type of your business and the general goals of your company. Once you have your goals, we suggest that you personalise your strategy. This is social media. The less editorial you are, the more approachable and relatable your brand is. Of all the best social media marketing practices, providing good quality and strategic content is the most important. It is the number one requirement in any form of internet marketing. Therefore, your content writers and producers should offer interesting and valuable information. In addition, you should plan the keywords that you will use in your social media content. Identify the most searched words of your target audience. This will increase your discoverability whenever they look up the word in the search bar. When they find your post useful and amusing, they will most likely click and engage with your content. At the end of the day, people are people. We are different from one another but there are instances when a group of people want the same thing. If your social media content has it, then you have a chance of more individuals to your platform. All trending topics happen because of the people. The keywords you are going to use is also from the people. Therefore, social media success happens to those who listen. Using your personal account, we want you to read what your target audiences are talking about online. Know the things that are important to them and use it to your advantage. Publish content that aims to talk to people. It may contain witty or funny captions and amazing photos. Don’t feed them with too much editorial—it is boring. This strengthens the brand of your social media account. Maintaining a single focus makes you memorable to your followers. That is better than having content that talks about a lot of things. Establish who you are and what you do, even in social media. It increases your social media success. Social media is a game of numbers, therefore quantity (followers, subscribers, likes, shares) is important. To achieve that kind of connection, you need quality content. Reach is paralyzed if your post doesn’t spark any interaction. Amazing content is shareable. People can hit share, tag a friend, or send a copy of your post to their friend via message. It becomes a discussion and that is another way of expanding your reach. There are social media superstars, who can help multiply or strengthen your brand’s influence. Choose someone who can help you elevate your brand. Work with someone whose audience is likely to become interested in your services. More importantly, build relationships with them. Don’t just tag each other on Facebook, Twitter, or Instagram. Go to events with these people. Introduce yourself to their fans and followers. It will help your brand to become authoritative. Not everything on the internet is true. There are low-quality content and fake news spreading on social media. These are on the same playing field with the high-quality content, making them a part of your competition. Stand out from all those trashy social media content. Add value to your posts. Create amazing content until people want more feeds from you. Develop relationships with people who comment or share your post. Maximise your online influencers but do not abuse them. In time, all these connections will make you an authority in your niche. People will seek your advice and make you a reliable source of information. Don’t ignore anyone who reaches out to you online, no matter what they want from you. Answer questions and reply to messages and comments. If they are spammers that affect the quality of your content, feel free to delete them. At the same time, visibly interact with other pages. Comment useful information on their post. The followers of that page will see you and read what you said. You might fish some followers without you knowing it. Never publish your content and then disappear. That is not a good social media practice. To spark a conversation, you need to be a part of it. Planned social media and content marketing doesn’t reap success overnight. It is a long term commitment and project. What you can do is track your milestones. Have short term goals that help you achieve a long term goal. Celebrate when you reached more than a thousand fans in a month, even if your plan is to reach 500,000 followers in a year. Patience pays off. You have a lot of platforms such as Facebook, Twitter, Instagram, Pinterest, etc.. Use it to your advantage. Here at Mapletree Media, we have people who can help you manage your social media profiles. We uphold not only quality content but your branding and public image as well.